This topic contains 13 replies, has 0 voices, and was last updated by Specialist Kit Allison 2 years ago. I intend to begin a project, based on this song, but I will need plenty of help from as much of the community as possible. I wish to do for this song what was done for ‘Back and Forth’ by creating a music video staring us! I have created this forum to discus ideas and to organize this great project. I want film makers! I want singers! I want musicians! I want film editors! I Want organizers and Directors! But most of all I WANT YOU! All of you. The entire community should be involved in this project. I want you to film your invasions, your parades, and group meetings. And if there isn’t a group of soldiers in your area, then film yourself singing in the mirror or something! I endeavor to create the most inclusive project this community has ever seen! I want all people on this site, form all nations represented to be involved in this project. So come on, give a fellow toy soldier a hand. Let’s get this thing going! For Dr. Steel. For the Army of Toy Soldiers! FOR A UTOPIAN PLAYLAND!!!!!! On the old forum, someone had made a pamphlet with the lyrics for the song and posted it under the propaganda section. I wonder if that has been archived somewhere on the interwebs? UPDATE-I have taken it upon myself to print the lyrics, which I typed up, and have scanned them and saved them as a .jpg file. I have contacted the site admins and enclosed the .jpg with my message. Hopefully it gets added to the propaganda toolkit. A good stat. This will greatly help us on the way. Can you post the link here, if it gets uploaded? That’d be great. I’m gonna talk to Jet and Dutch and see if we can get some music for it. See if we can’t get this thing on the way! I’ve learned it on my harmonica already. Need to practice, though, because I haven’t played my harmonica in a couple years. And of course I will post the link. My hope is that it ends up in the propaganda toolkit, so it will be easy to find. A very useful resource for us to use. And here is the instrumental, since there is no known sheet music for it. Props to Dutch for putting it up and sending me the link. This still happening? Cause if you need a film maker, well, I think I can help. If I cam make it happen, yeah. I’m trying to learn it on organ by ear, which isn’t easy fir a beginner like myself…. All help is appreciated. 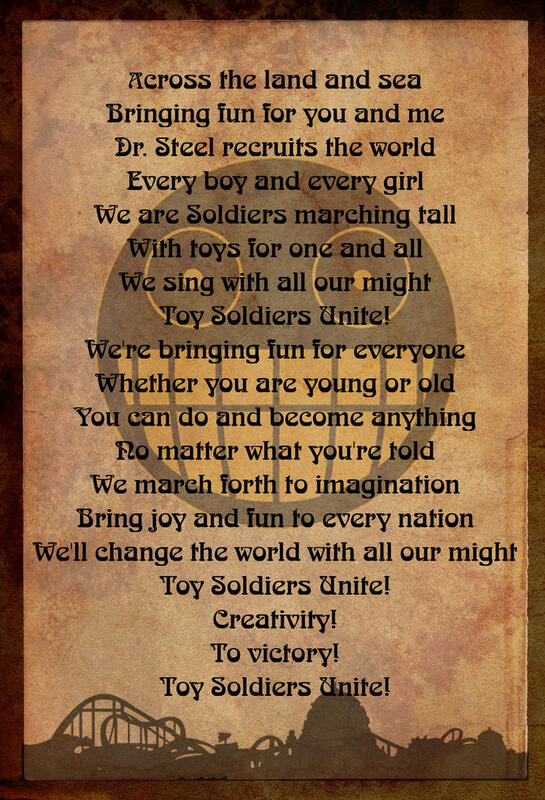 I see I am late in getting this posted here… It was done two weeks ago, and is part of a rather large series of propaganda about who we are, what we do, and what it means to be a Toy Soldier. Also, an Invasion Planner, and a newer series of inspirational and motivational propaganda… all using this base. Ur not too late. 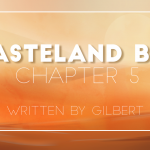 I’m still workin’ on it, it’s just on the back-burner because I’m preparing for armageddon in about a month. (The convention, not the end of the world)I’m still trying to learn it on the organ and recruit others for the video. Thank you kindly for that wonderful pamphlet with the lyrics. It’s very well done. if I am not late, I would like to toss my name into the hat. I am a singer/song writer, and though I am usually a metal vocalist, I am willing to help out with singing, my clean vocals are very good (not sure if that is true to be honest) so I can sing. If not that, I can still help spitball some ideas. I’m also new to canvas and this video is very helpful. Count me in, I’ll find something I can contribute.